Last weekend, I was lucky enough to get to go home and see my parents for a bit. I didn’t just steal my mom’s recipe from her, I also went out into the town as well. I’d been meaning to try The Hop for a bit, since I’ve only heard good things from friends that live in Beacon. Let me tell you, it was awesome. I’m really proud of Beacon for having awesome little spots like this. 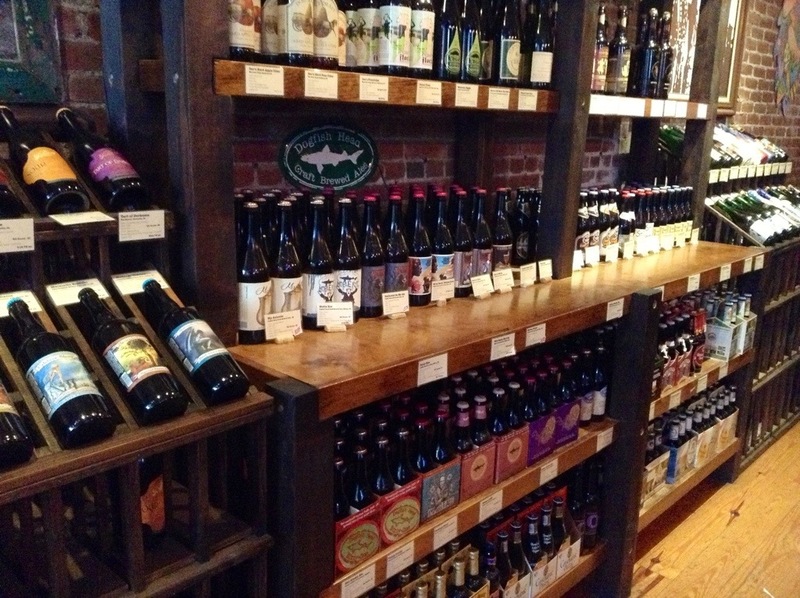 First off, it’s got some rustic and awesome decor (see photo above), and a tremendous selection of craft beers. 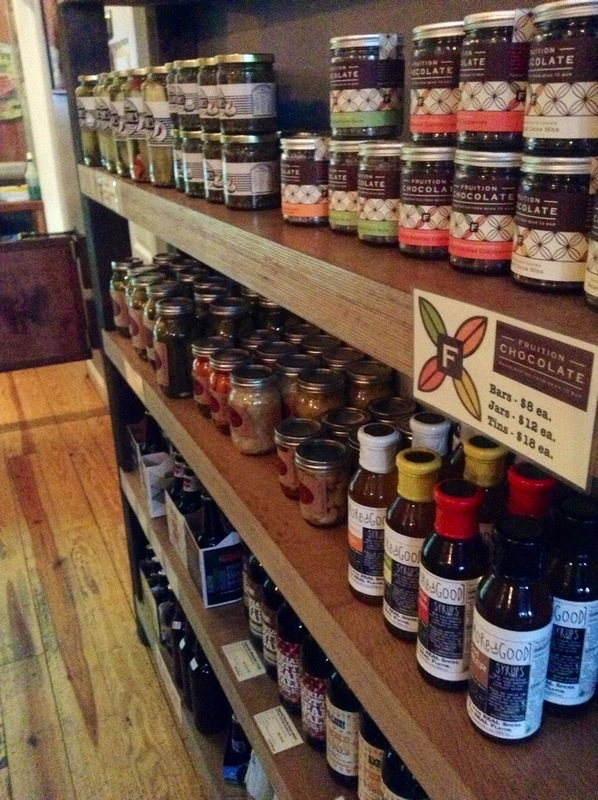 They also have a crazy amount of cool jams, jellies, and specialty condiments just ready for purchase. It was a budding chef’s (like myself) paradise. Did I mention they also have a menu? I should have started with that. I’m still thinking about the food. No, seriously. 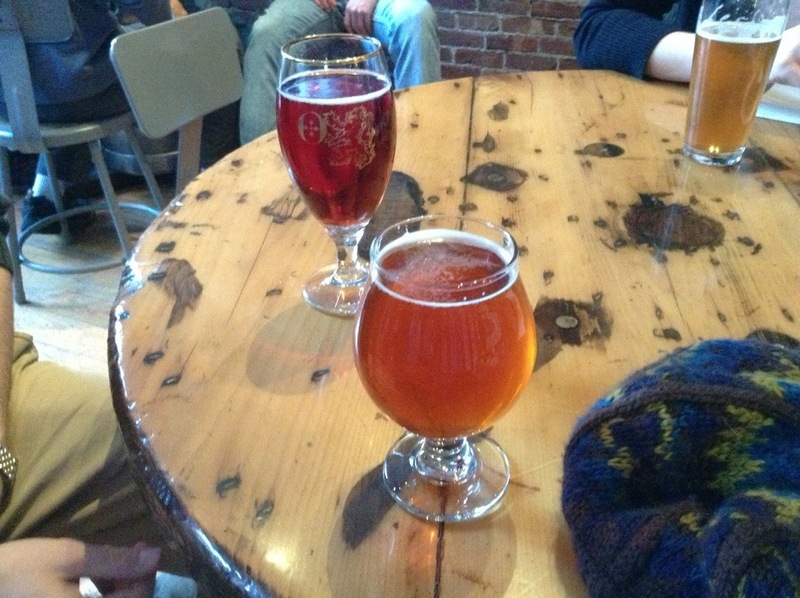 The Russian and I started off with some brews, a raspberry cider for him and the Allagash Interlude for me. I loved my beer, and the fact that it was light and hoppy and somehow 10% alcohol. Definitely packed a healthy punch (the sneaky kind). I was okay with it, though. It was really great beer. We wouldn’t be here if it wasn’t for the food though. It was marvelous. 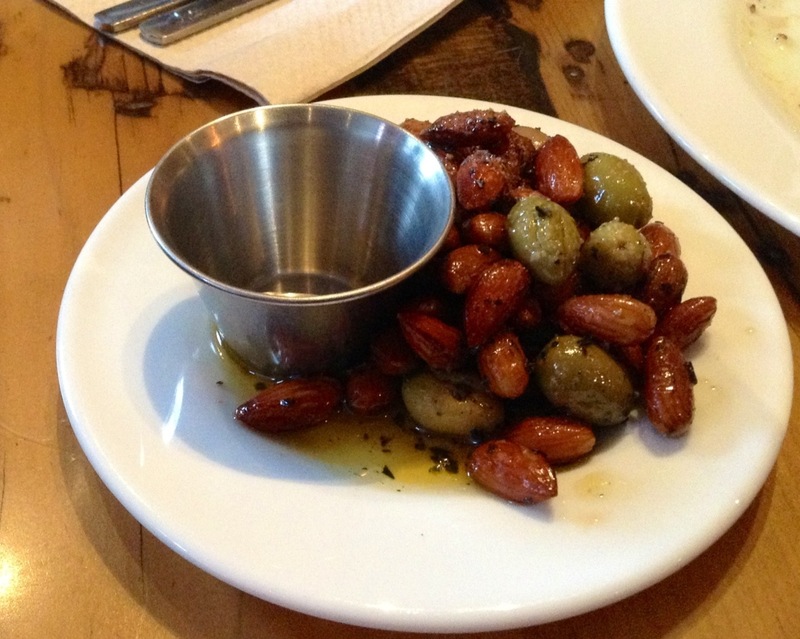 The Russian and I had the olives and almonds, which were marinated in rosemary and olive oil. They were crunchy and well seasoned and a lovely compliment to the beer. 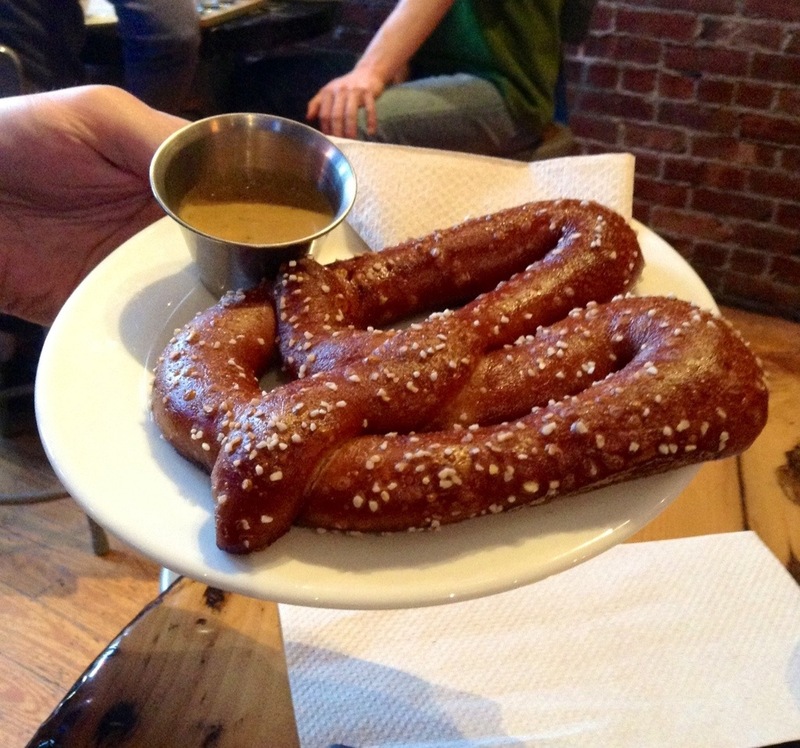 Then they had these soft pretzels with homemade mustard and I could have cried. Pretzels are my favorite. Especially the big soft ones. The mustard was awesome, but it had a huge kick so using only a little was necessary. 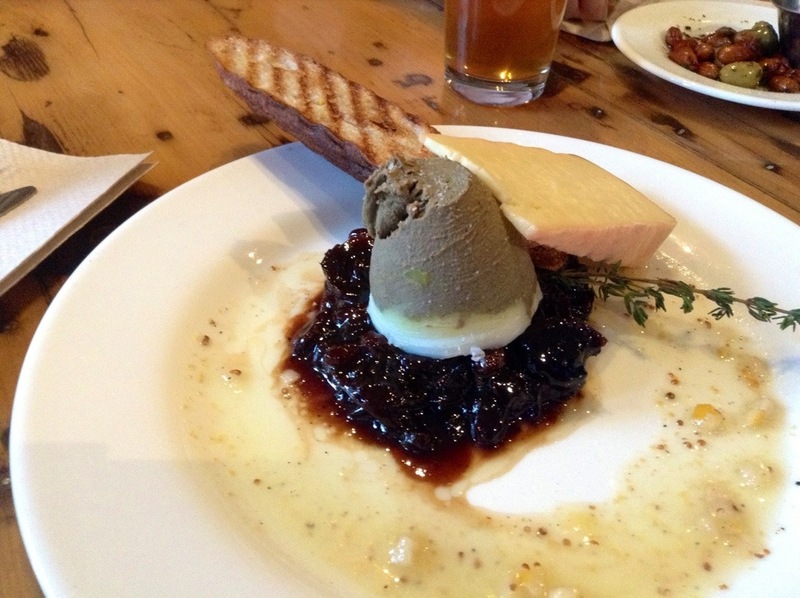 The crowning jewel was the chicken liver pâté. Dear god there was so much flavor. There was a homemade cherry (I believe, don’t quote me just know it was delicious) jam and a vinaigrette with homemade toast points. There was also a huge hunk of cheese. I was in love. There was a layer of fat on the bottom that tasted just like Sunday roast chicken. I was a very happy lady and giddy with excitement. The whole shebang cost me around $40, making it an affordable lunch for two. 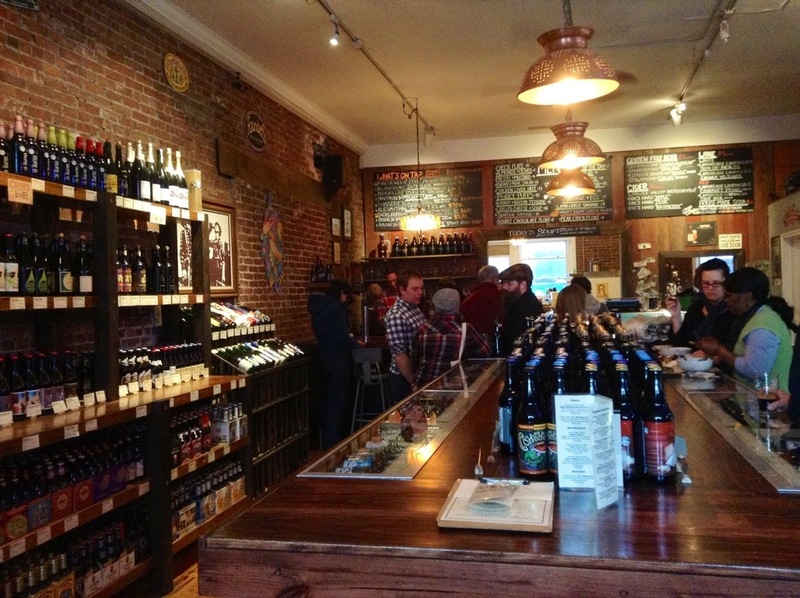 The Hop was an incredible experience and a surprising experience to be found in Beacon, it makes me happy to come home and find so many delicious options springing up where my parents live. Also sad they don’t have something like this in Boston, that I’ve found at least. I cannot wait to come home and try more of The Hop’s menu offerings.